Blast Box, the nerve-wracking balloon game with a bang! 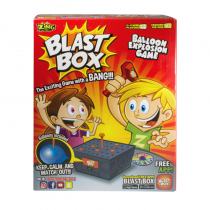 Each player inflates a balloon and places inside the Blast Box. 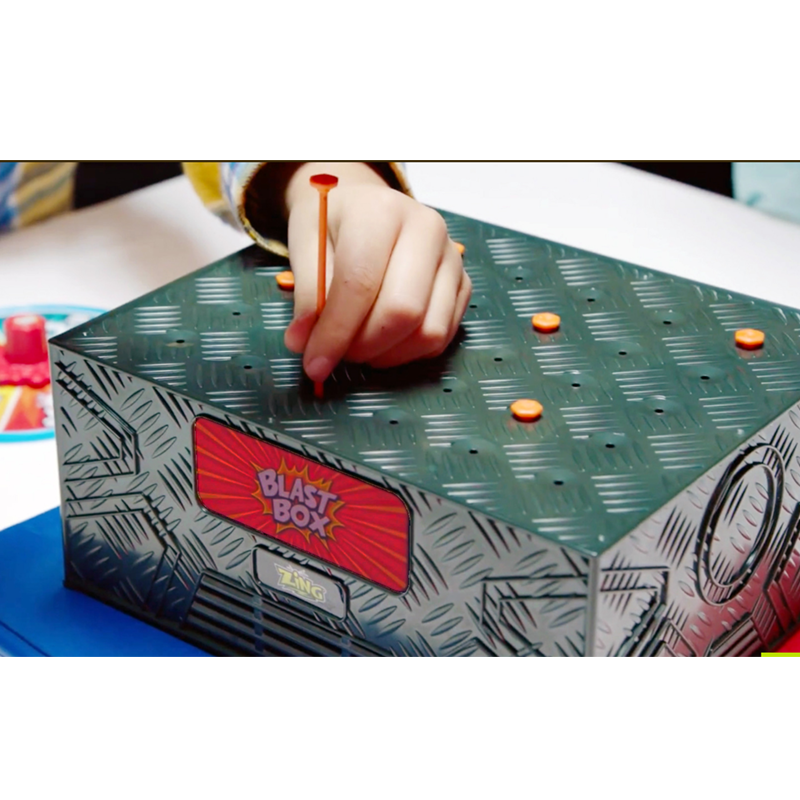 Then take turns to spin the game spinner – when it stops, the number it lands on is the number of pins you must hammer into the Blast Box. But brace yourself…you never know when one of the balloons inside might burst and you'll be out of the game! The winner is the last player remaining who hasn't burst any of the balloons. 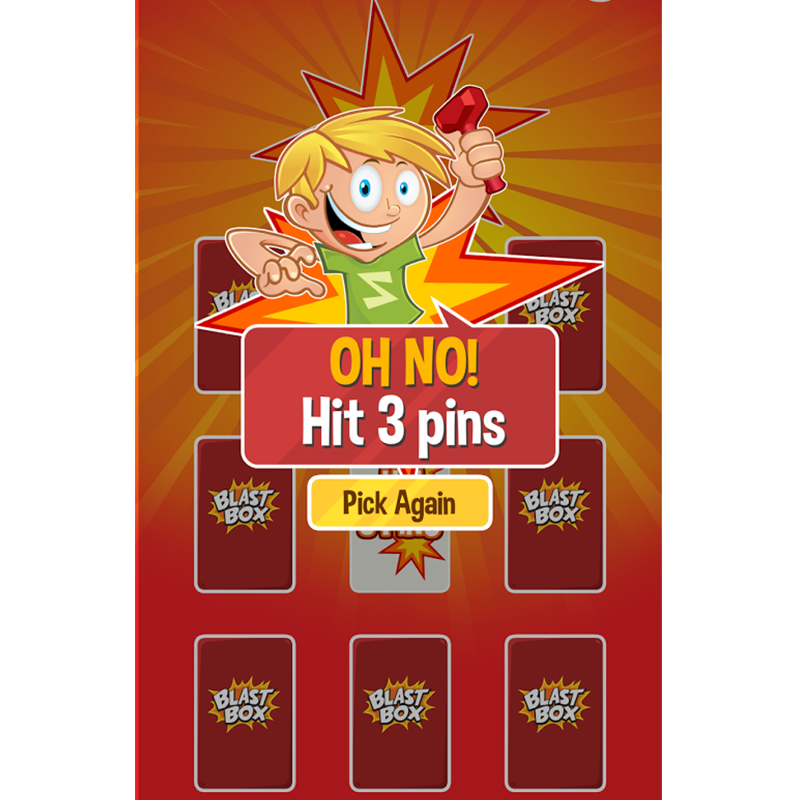 For added fun, download the app to your device and use the interactive trivia card game to decide how many pins must be hammered - app available through Google Play and iTunes. 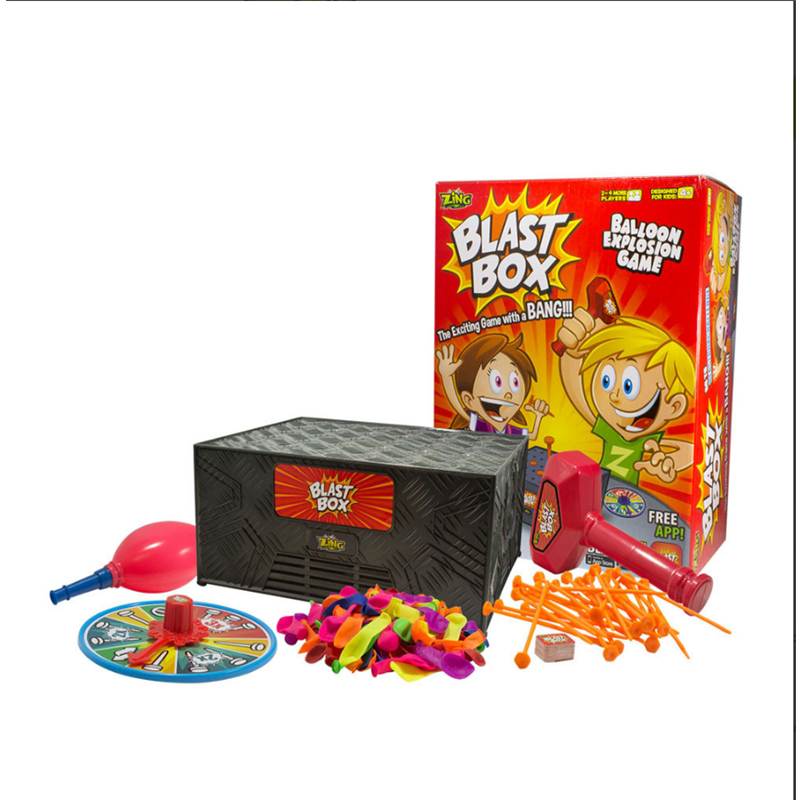 The exciting game that will make everybody jump! 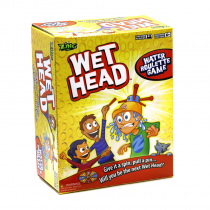 Great fun to play as a family or at kids parties. 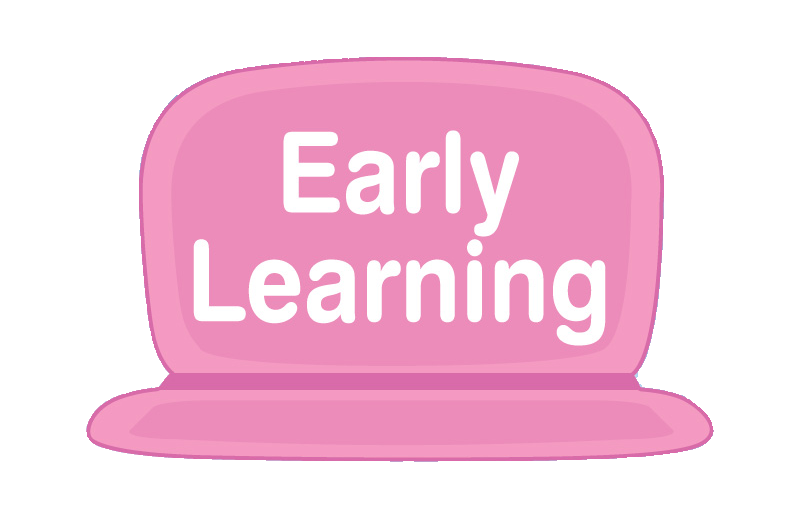 Includes easy to use balloon inflator and clips to help tie inflated balloons. 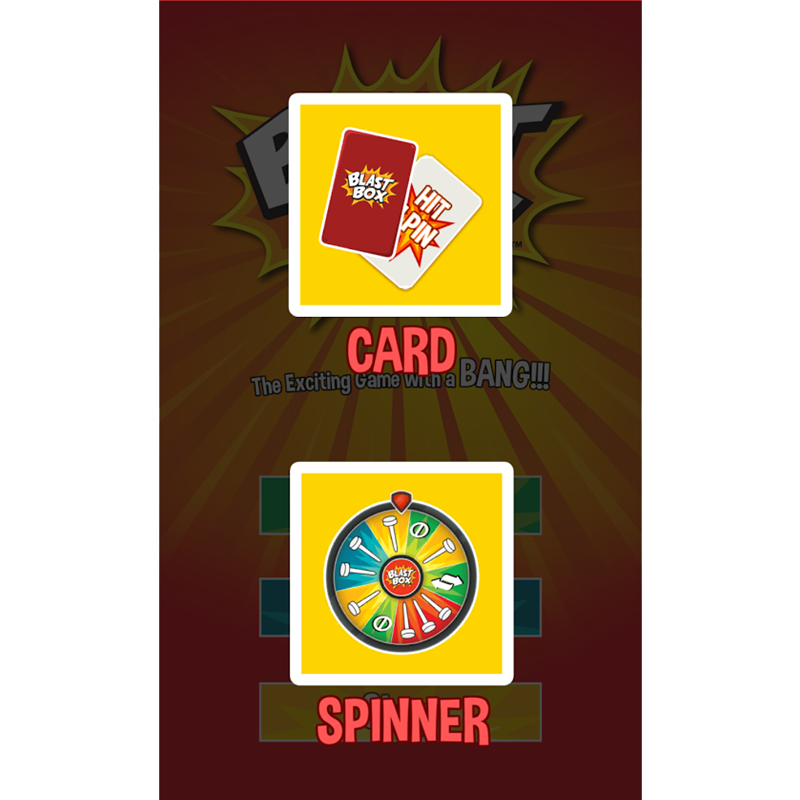 Download the free interactive game app for even more fun. Warnings: WARNING! Not suitable for children under 36 months. Small Parts.